The Indonesian government plans to formally recognize the occupation and use of land inside conservation areas, including national parks, by local and indigenous communities. The program will grant these communities access to clearly defined areas within these conservation zones, in exchange for managing these areas responsibly and sustainably, and not expanding their encroachment. However, the program could clash with a 2017 presidential regulation that emphasizes resettlement as a solution to human encroachment in conservation areas. JAKARTA — The Indonesian government has acquiesced to the reality that local and indigenous communities already manage land within conservation areas, saying it will begin formalizing this de facto stewardship this year. “These are people who have been interacting with national parks and sanctuaries for a long time,” Wiratno, the ministry’s head of conservation, told reporters in Jakarta. “And they’ve been neglected [by the government], without any legal certainty” over access to or management of the land. One prominent case centers on Sumatra’s Bukit Barisan Selatan National Park, one of the last bastions on Earth of the critically endangered Sumatran rhino, tiger and elephant. Human encroachment into the park — in the form of coffee farmers and loggers, among others — has prompted alarm among conservationists. A 2012 study found there were at least 100,000 people either living in or farming within the park, with around 15 percent of the park’s 3,568 square kilometers (1,377 square miles) under active encroachment — an area more than five times the size of Paris. Indigenous Indonesians of Mentawai district depend their lives on the resourceful forests. Photo by Vinolia Ahmad/Mongabay-Indonesia. To address the reality of this encroachment, the environment ministry plans to grant rights to local communities to manage 250 square kilometers (97 square miles) of conservation areas this year, with more to be distributed in the following years. Wiratno’s office is drafting technical guidelines on how to implement this so-called conservation partnership program, which forms part of the government’s wider goal of distributing 120,000 square kilometers (46,330 square miles) of land to local communities under various “social forestry” schemes. “Once the technical guidelines are done, this program will be implemented right away,” Wiratno said. He added there were already many recommendations from regional stakeholders on areas that could benefit from the program. The core of the idea is that instead of resettling local communities from national parks to other places or prosecuting them for encroachment, it would be better for the government to legally recognize these communities’ presence in conservation areas and cooperate with them to manage the areas responsibly. Through the scheme, the government will define areas within the conservation zones where communities can continue farming; no farming will be allowed beyond these areas, to prevent further encroachment. 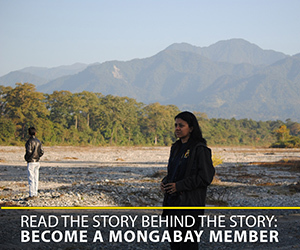 The communities will also be responsible for the protection and sustainable management of their designated areas. The government will also gather data from these communities to determine whether they are genuine small farmers in need of land, or middlemen fronting for big businesses. “If a local community has 100 hectares of oil palm plantations, then this is not a community that’s deprived,” Wiratno said. The ministry has mapped several conservation areas in Sumatra as candidates for the program, including Bukit Barisan Selatan; Leuser National Park in Aceh province, which spans 200 square kilometers (77 square miles); Tesso Nilo National Park in Riau (80 square kilometers); and Wan Abdul Rachman Forest Park in Lampung (40 square kilometers). The program will also include indigenous communities. Citing data from the Indigenous People’s Alliance of the Archipelago (AMAN), Wiratno said 129 indigenous communities lived on 16,400 square kilometers (6,330 square miles) of conservation areas. These areas will have a special designation that will allow them to be fast-tracked to “customary forests,” or hutan adat in Indonesian. Under a landmark 2013 decision by Indonesia’s highest court, indigenous communities retain full control of customary forests from the state. 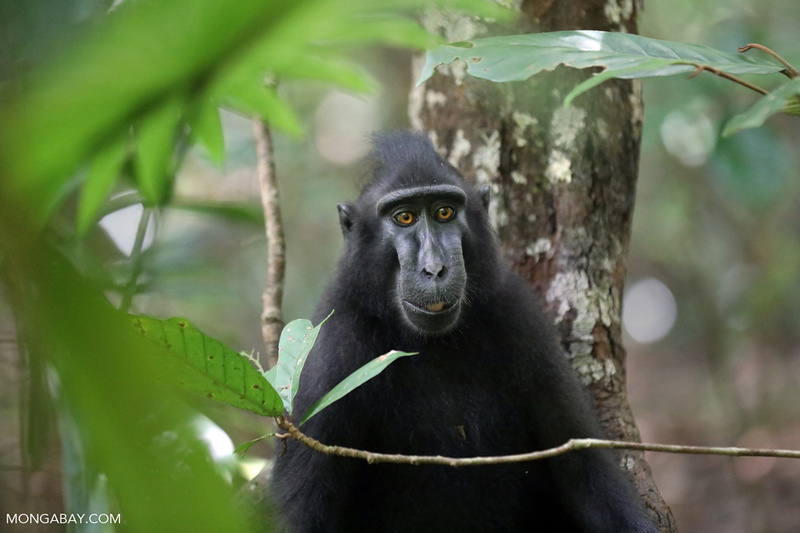 Crested black macaque. Photo by Rhett A. Butler / Mongabay. The country’s main environmental lobby, the Indonesian Forum for the Environment (WALHI), has welcomed the program. However, Even cautioned that the program could be hindered by a regulation issued by President Joko “Jokowi” Widodo in September 2017, which emphasizes enforcement measures —resettlements and prosecutions — for dealing with land conflicts in forest zones. 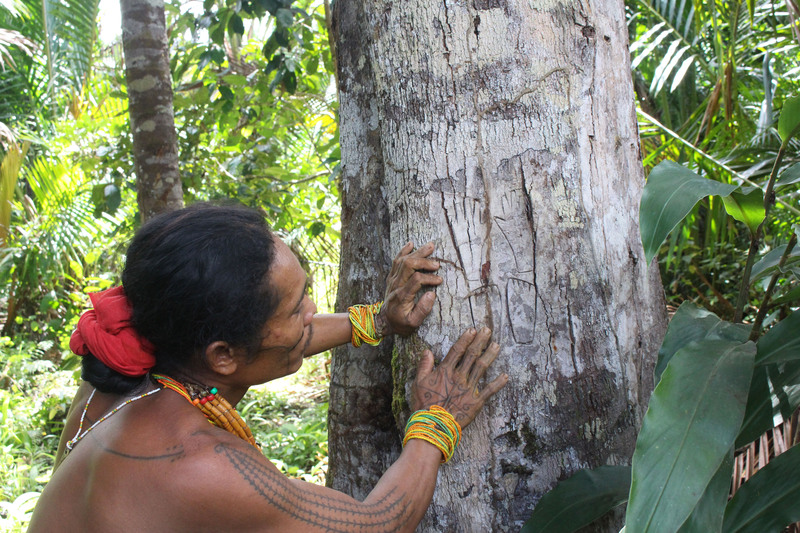 The Indonesian Communication Forum on Community Forestry (FKKM), a group of indigenous rights advocates, said that while the program granted a sort of recognition for indigenous groups, the government still needed to do more to legally recognize indigenous peoples. Muhammad Arman, the head of AMAN’s legal and advocacy division, said as many as a million indigenous people in conservation areas were at risk of resettlement under the 2017 regulation. Banner image: A Dani man in Indonesia’s Papua, one of the most linguistically diverse regions in the world. Photo by Rhett A. Butler for Mongabay.